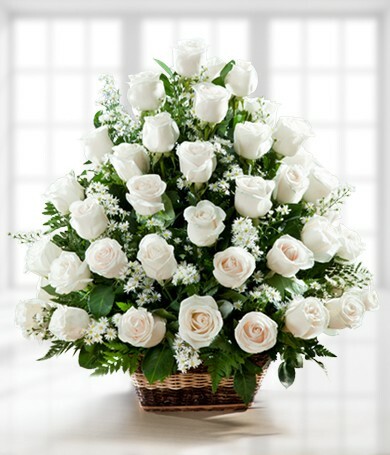 Let this splendid arrangement of three dozen white roses express your deepest sympathies. The pristine white roses come accented with greenery and baby's breath. 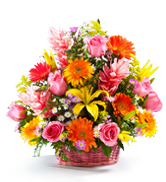 Exquisitely arranged in a tasteful wicker basket, the roses face in one direction, making our Sympathy Basket ideal for display at the funeral home or memorial service. 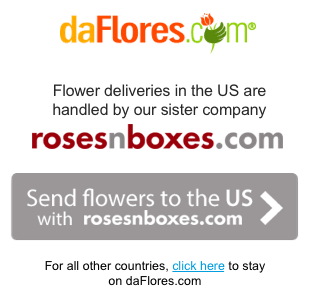 Contains 36 white roses.